I recently reviewed the book, The Host by Stephenie Meyer and thought since I just watched the movie I would come back and let you know what I thought about it. 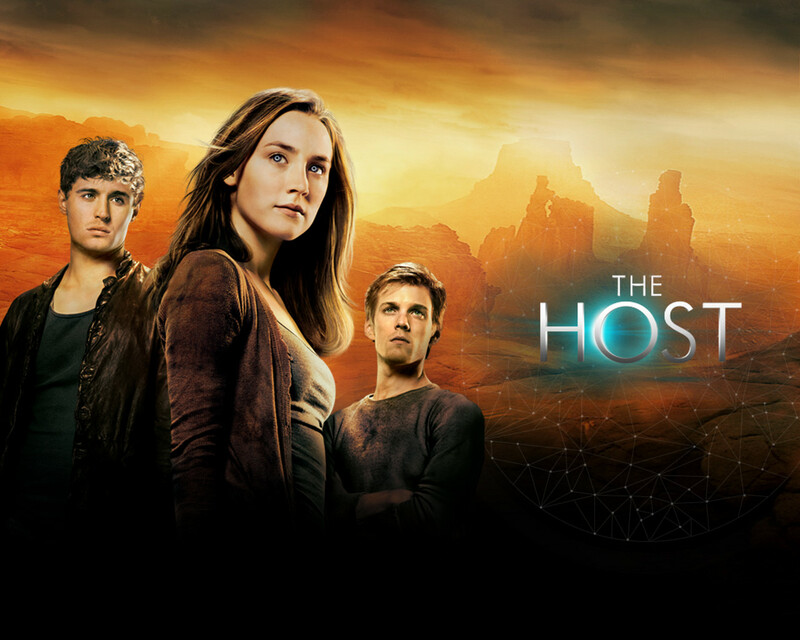 I realllllly wanted to watch The Host, by the time I was ready to go to the movies and see it, it was out of theaters. That forced me to find it online so I could see it- I know I'm a bad girl, but I seriously couldn't wait any longer. I went into the movie with an open mind, really excited to see what they had done with this story. I was a little upset that they changed the storyline of Wanderer and Melanie on the run from the beginning- it wasn't a huge deal but it did bug me that Melanie took over Wanderer's body and crashed the car. In the novel Melanie never had that kind of control over her own body- Wanderer always had the control to stop her from intervening at the beginning. I was okay with all of that, until they started excluding characters. Characters were dying when they weren't supposed to be dying, characters who had a pretty big role didn't even exist. It was frustrating. I was happy that the movie ended the same way as the book for the most part- except that Wanderer is now in a completely different body than was described in the book. I guess that's not a huge deal- but it did bother me because I'm weird like that.